Rentex are pleased to supply contract serviced mats for national timber merchants. 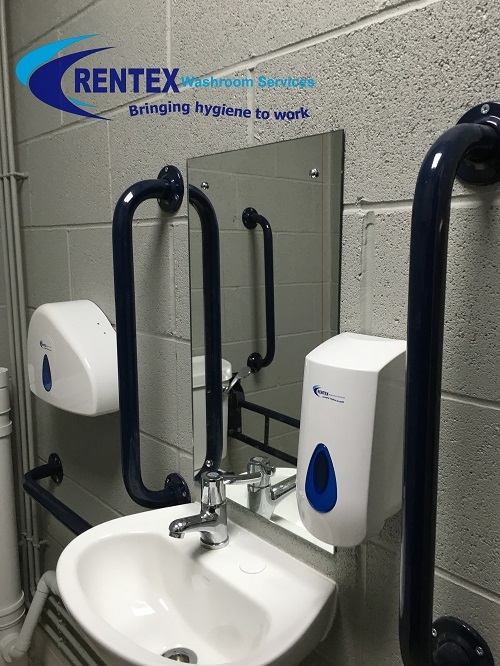 Working with our business development representative it was soon clear that they would benefit from bespoke trade counter mats within the facilities. Prior to delivery all mats are checked at our sales office and are then ready for dispatch to the customer. 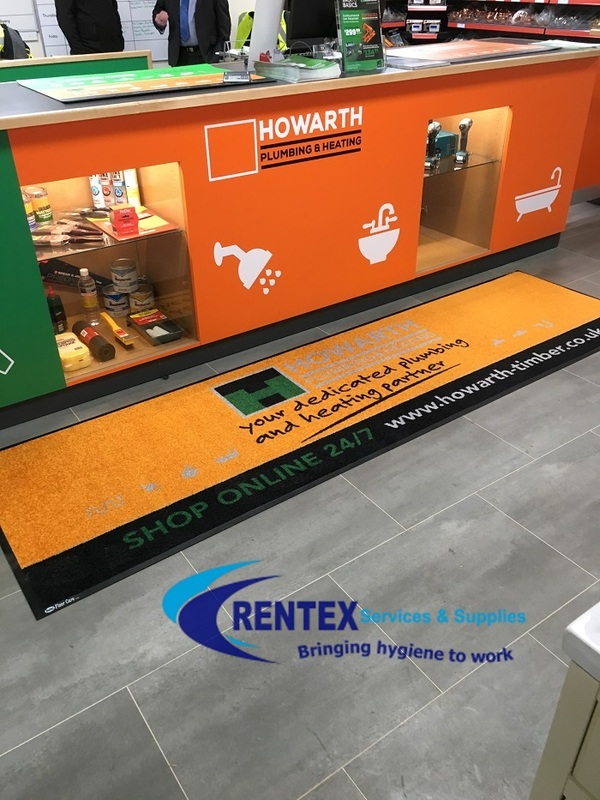 All our industrial rubber backed dirt control trade counter mats are manufactured in commercial industry standard sizes; 85 cm x 240 cm and 85cmx300cm. The coarse nylon fibres in the mats together with traditional solution-dyed fibres create excellent scraping and wiping action for maximum dirt control. 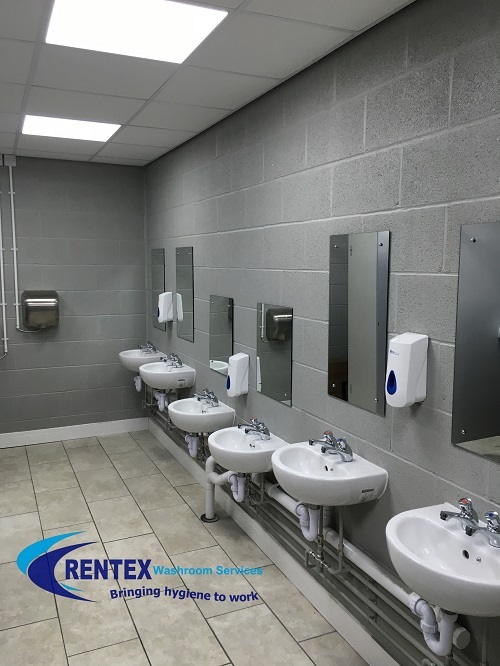 As a business you will also appreciate the peace of mind that comes with using a contract maintenance supplier. Our team of friendly dedicated floorcare operatives deliver your chosen matting to site during business hours. 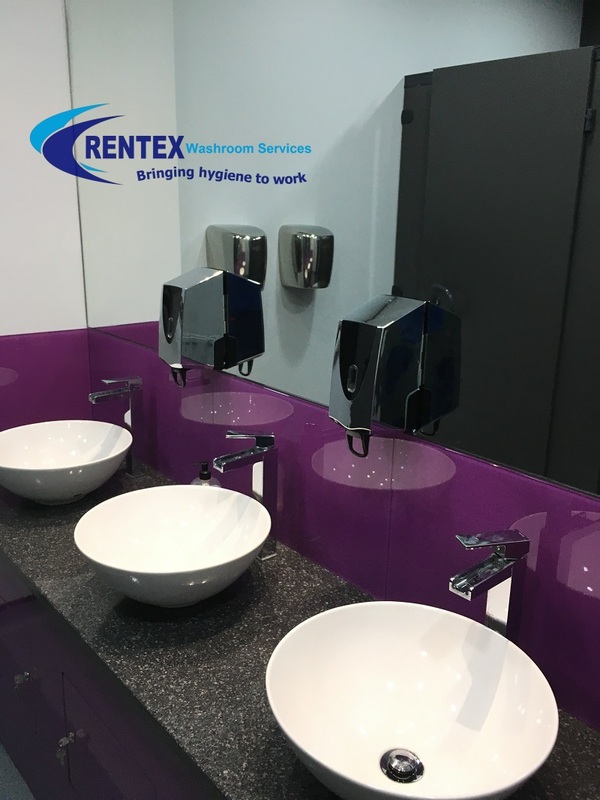 Rubber backed counter mats will only absorb a certain amount of dirt before becoming ineffective and reduce the efficiency and also performance therefore should always be on a full maintenance package. 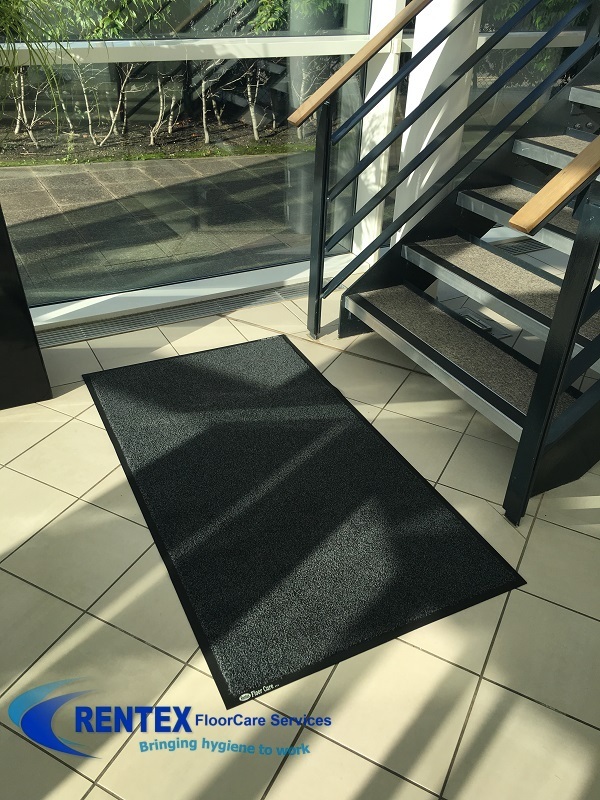 Trade counter mats in high footfall areas in commercial premises are constantly under attack by dirt and grime. As a first line of defense against high amounts of dirt within your building and to protect logo mats if any we recommend a sacrificial mat such as our Super Scraper Mats. 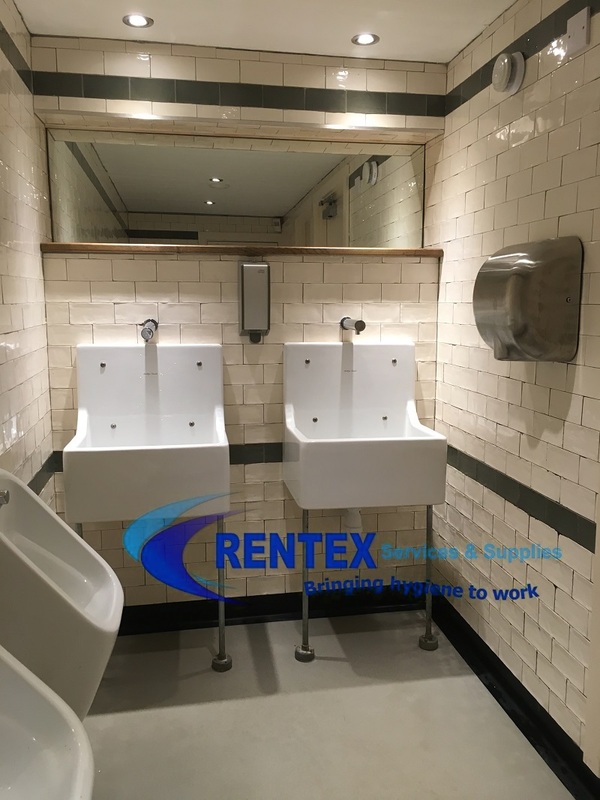 Using high quality dirt control matting is essential in protecting expensive floor coverings whilst reducing dirt tracked further within the building.